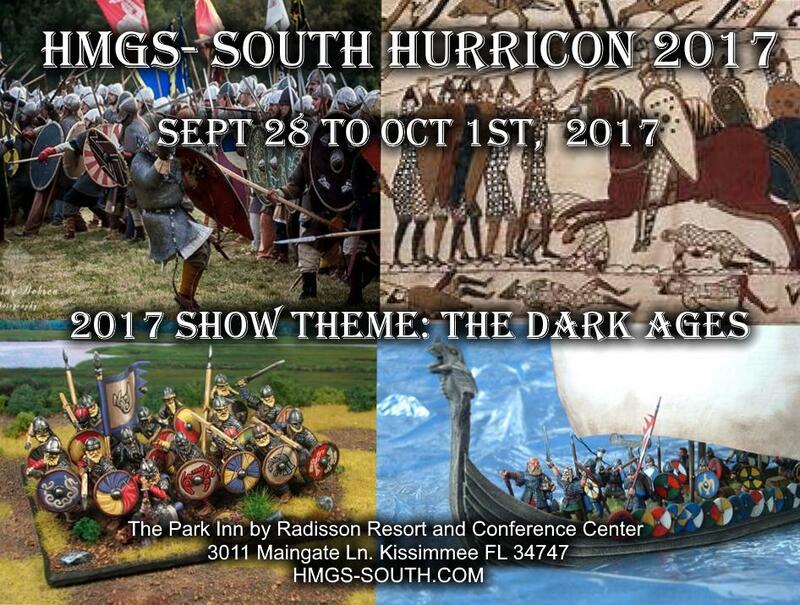 Hurricon 2017 theme is "The Dark Ages"
Play Historical, Fantasy, or Science Fiction Miniatures. Shop for items from the vendors that you just can't see and buy anywhere else. Flea Market is always Friday. Flames of War, and Kings of War tournaments are confirmed. Plenty of Role playing games, board games, and more!